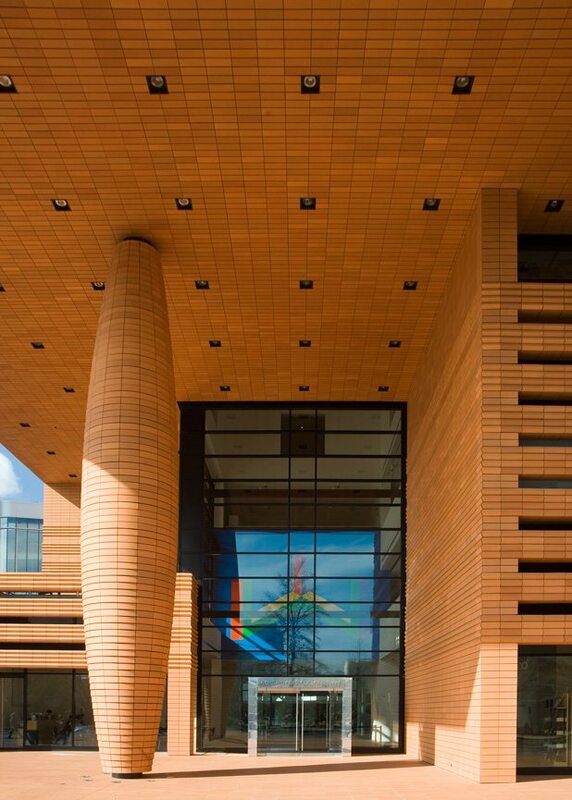 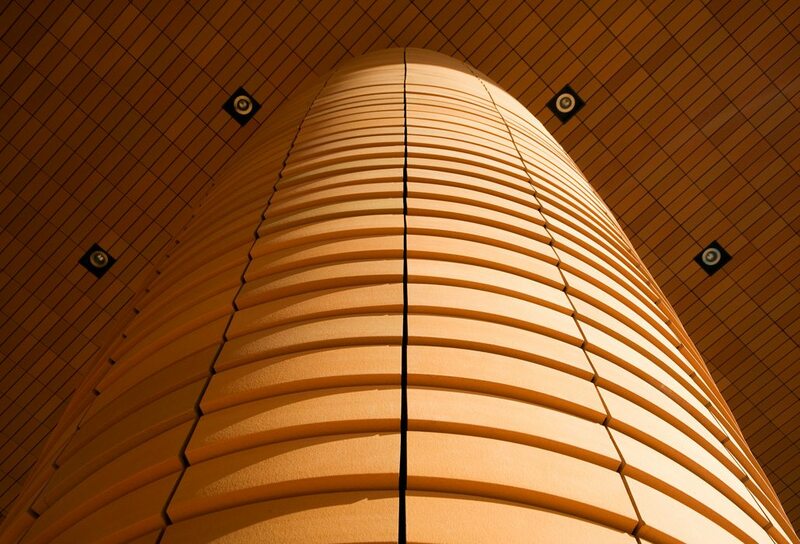 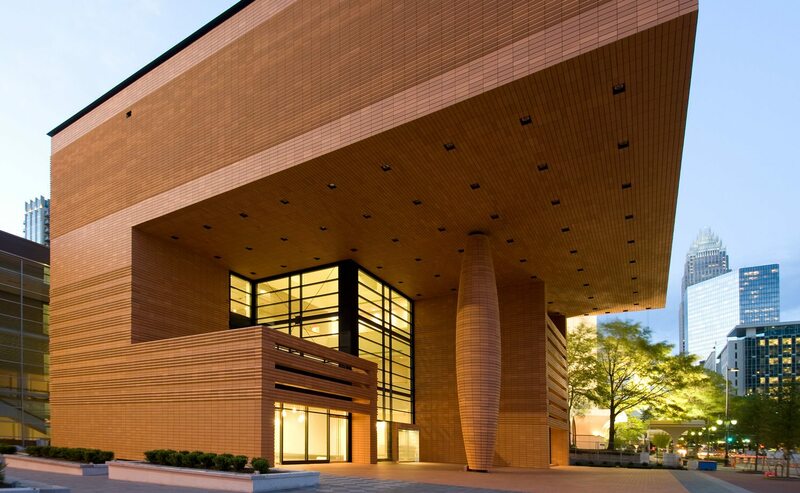 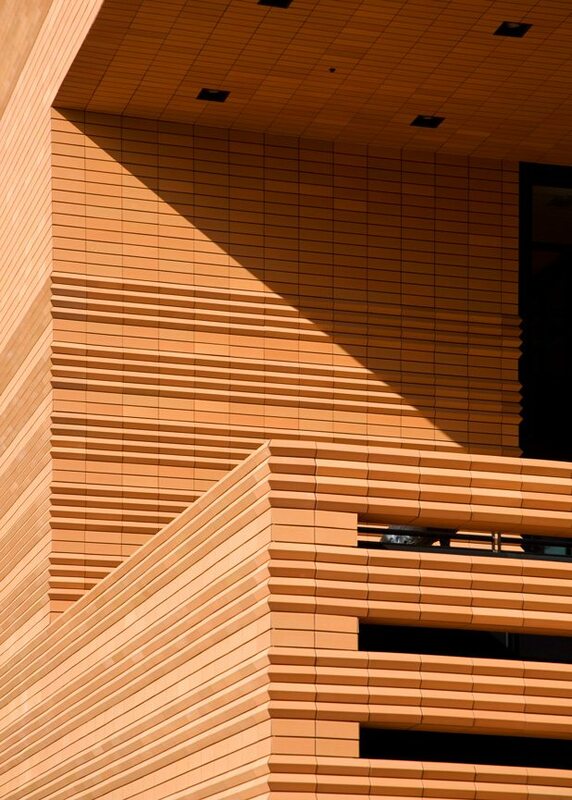 For this Mario Botta designed building, Boston Valley developed both a custom through-body clay color and several custom profile panels. 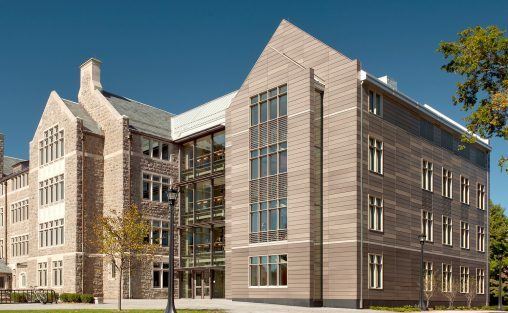 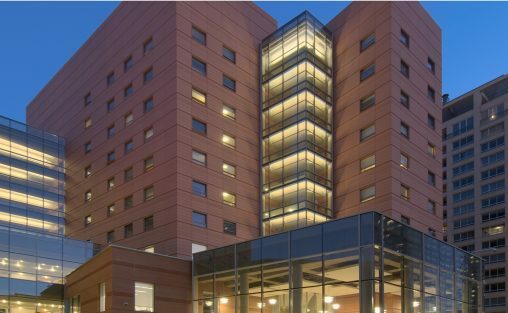 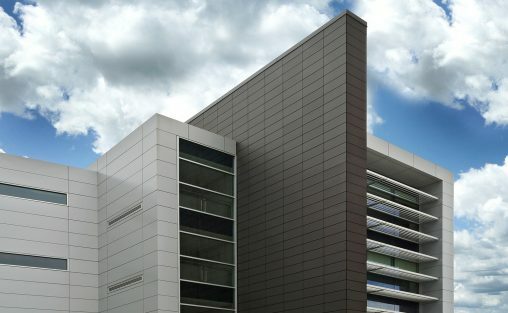 We provided approximately 30,000 square feet of panels, 6000 square feet of custom-sized pavers, 5,000 square feet of soffit units, as well as a 42’ high graduating radius column clad in terra cotta for which we assisted in designing and engineering the structure and attachment system. 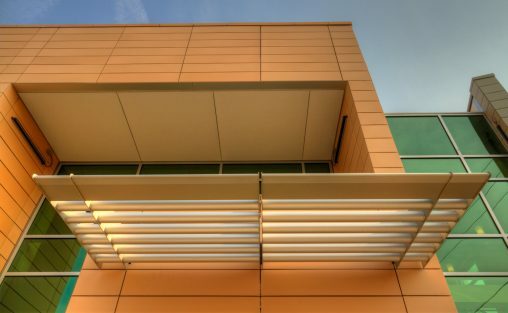 Photo Credit: ©Brett Drury Architectural Photography, Inc.